Pasta e fagioli is a quintessential Italian dish. 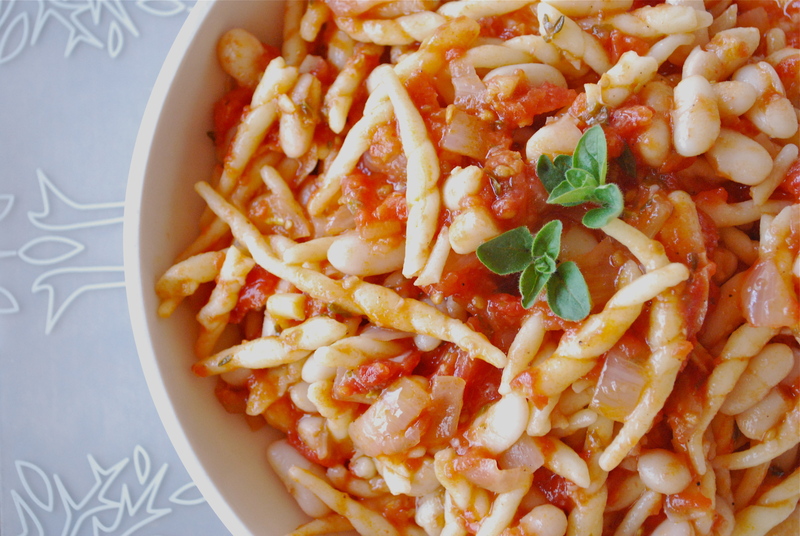 Made from a base of olive oil, garlic, herbs, and tomatoes with the addition of pasta and beans, it shares common ingredients but shows up on tables in thousands of variations. For every household in Italy I’m sure there was a unique take on how to make “pasta fazool.” Even though its origins are as a peasant dish, you now find it on the menus of even the most sophisticated restaurants. Perhaps its because you just can’t argue with a simple, authentic dish that tastes great and fills you up. And remember, the better the ingredients you use, the better the final product will be. If using dried cannelli beans, soak for 8 hours, then rinse. Put beans in a pot of un-salted water, bring to a boil, and cook until tender. Once cooked, drain and rinse and set aside. If using canned beans, drain and rinse and set aside. Meanwhile, bring another pot of salted water to boil for the pasta. 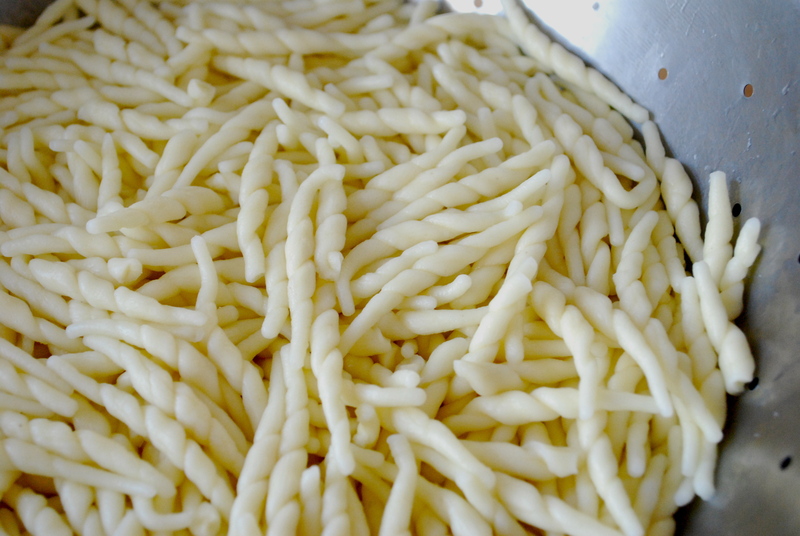 Once the water has reached a rolling boil, turn down slightly, add pasta, and cook until al dente. Once cooked, drain, toss with a small amount of olive oil, and set aside. Heat the olive oil in a heavy-bottomed dutch oven. Add onions and sauté until soft and translucent but not browned. Add garlic and sauté for another minute or two until the garlic is fragrant. Add tomatoes, wine, stock, and herbs. Bring to a boil and then turn down and simmer until the mixture is reduced and thickened to a desired consistency, about 30 minutes. Add cooked beans and pasta, as well as sea salt and pepper to taste. Let simmer for another 15 minutes until flavours start to meld. Adjust seasoning if necessary. Serve hot with a drizzle of olive oil and some nice warm bread.